This is the SB-02 0.2mm panel line cutter bit that is made from tungsten carbide and designed to mount into a pin vise that can accommodate a 3.175mm shaft or use the Funtec K-Holder pin vise designed to handle these bits. These thin blades are intolerant to side loads and will snap if not used properly. 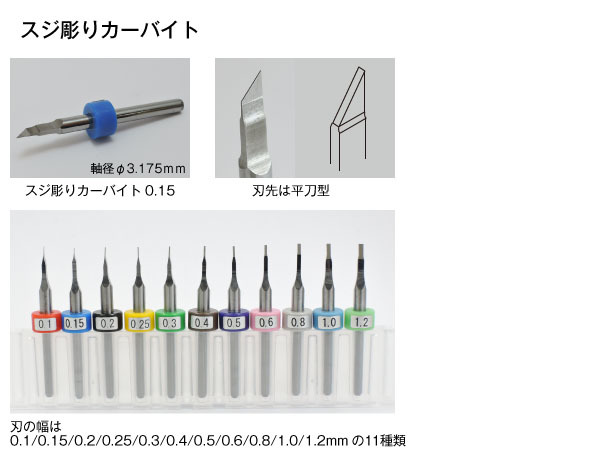 The image shows the full range of bits available but only one black 0.2mm bit is included in this package. Pricing and specifications may change without notice.